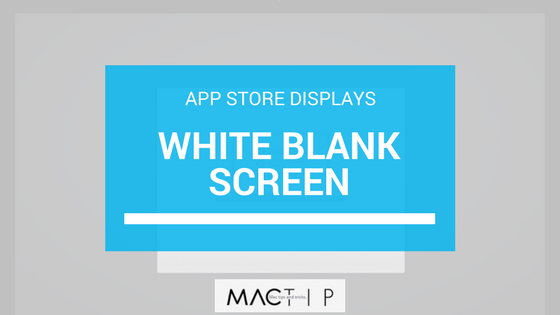 Many people who use an iPhone and/or an iPad have reported that they cannot access the App Store because of an issue of running into a blank, white screen when they try to enter it. Additionally, the updates page for the App Store will not show up because of this issue. How to Fix This Issue and Get Back Inside the App Store? It might not be necessary to do each and every one of these steps. You should test after each step to see if you have troubleshot the problem. If the step fixed the problem, then that’s great! If not, move on to the next one in order to try another solution. 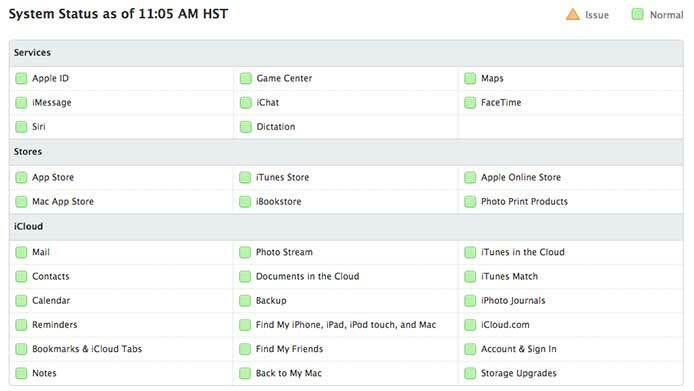 The first thing you should do is take a look at Apple’s System Status page. The issue may not actually be a problem on your end. On this page, you can view information about the status of Apple’s services, such as its stores and iCloud. If the system status page shows issues with their services, all you can do is wait until they are back up. The problem is temporary, and it will sort itself out sooner or later. The second solution is probably one of the most overlooked – make sure you are connected to the internet. If you are not connected to the internet, whether it’s through Wi-Fi or with mobile data, you will not be able to load up the App Store’s page. It’s possible you’ve run out of data, or you are having more general connection issues. The next step is to try restarting your Apple device. In order to do this, you need to press and hold the on/off button until you see the slider. Slide it, and then wait a few seconds. Then turn your device, and press and hold the on/off button again until you see Apple’s logo. Go to your Launch settings, then tap the iTunes & App Store option. Go to Apple ID and sign out. 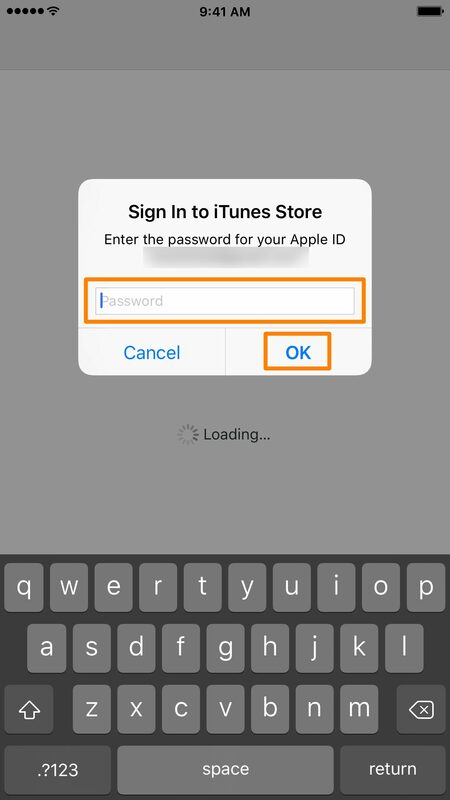 Relaunch the App Store, and sign in again by entering your Apple ID and corresponding password. Go to your Settings > General, and then Date & Time. Turn the “Set Automatically” option on. If the last one didn’t work, repeat the last step, except turn “Set Automatically” off. Change the date by putting yourself a year ahead. Now try to enter the App Store. If your issue with the App Store is now resolved, turn “set automatically” back on. For this next step, go to Settings > Privacy > Location Services, and lastly, System Services. Once you are on this screen, verify that you have Location-Based iAds turned off. This step is in your Language & Region settings. When you are on this screen, change your current language. You are welcome to select any language, but it is advised that you pick a language that you actually know. Once you have done this, open the App Store. If the page loads, change your language back to the one you were using before. Try updating your iOS software. Not keeping up with updates can cause issues. To do this, just go to Settings > General, and then Software Update. Perhaps you just need to simply restart your App Store application. Close the program by double-pressing the Home button and swipe up to preview it and then close it. Now try opening the App Store again. Hopefully, these simple steps have resolved your issues. If they did not, there may be a more major underlying issue or there is an unknown reason. However, if your blank white screen issue is fixed, we are glad to have been able to help you fix it.